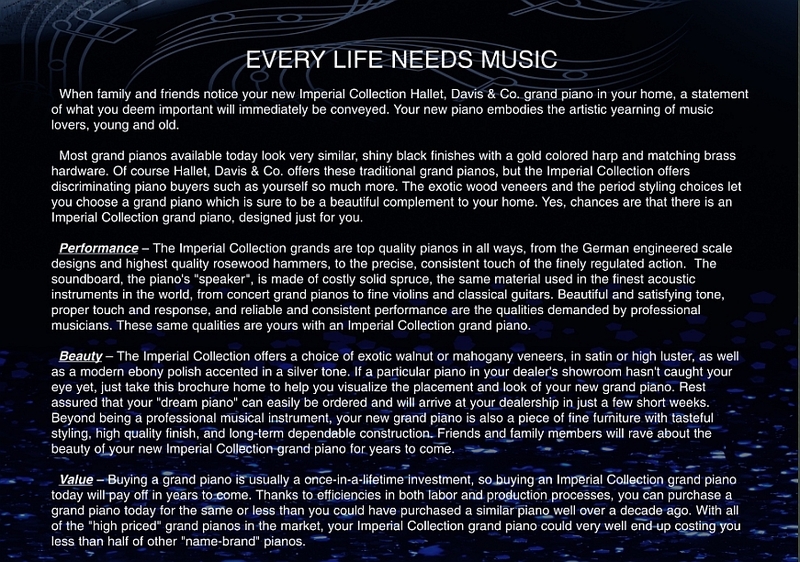 Enhance your Imperial Collection grand piano… should you not currently have a piano player in your family, state of the art installed computerized player piano systems are available. Please ask your dealer for details. So… in addition to the performance and beauty of these exquisite grand pianos, the unparalleled value of the Imperial Collection is really what sets our grand pianos apart from all other grand pianos on the market today.